The Cliff Head Oil Field (Cliff Head) is located 10 kms off the coast of Western Australia, at a water depth of 15-20 metres. 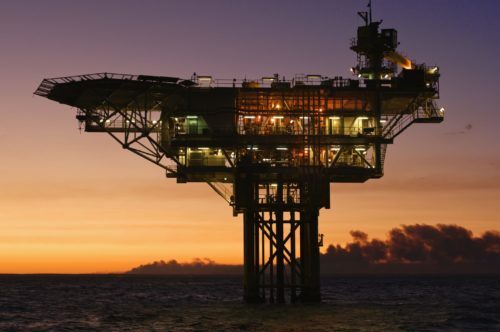 Triangle Energy is the Registered Operator and majority owner of the Cliff Head Oil Field (Cliff Head), located in the Perth Basin about 270 kilometres north of Perth and 12 kilometres off the coast of Dongara in Western Australia. The Cliff Head facilities are the only offshore and operating onshore infrastructure in the Perth Basin, and therefore, important for any development in the surrounding area. Current oil production of approximately 1,000 bopd gross from the Cliff Head field is produced via an offshore platform connected to the onshore Arrowsmith Stabilisation Plant by twin 14km production and injection pipelines. 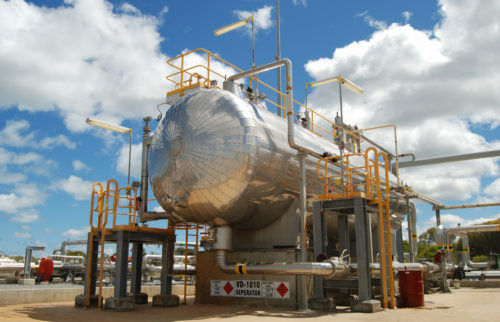 Crude oil is trucked to BP at its Kwinana refinery south of Perth. Arrowsmith has a production capacity of 15,000 bopd so has the capacity to service an increase in Reserves as well as third party crude. Exploration upside includes expected increases in reserves from its already producing reservoirs as well as near-field targets. An Asset Life Extension Program aims to ensure the integrity of Cliff Head’s essential infrastructure and increase Reserves in the field. The Production License WA-31-L covers 72km², and the oil field covers 6km² in the Commonwealth Exploration Permit WA-286-P. Cliff Head is located at a water depth of 15-20 metres. Triangle has a strong focus on exploration and invested significant time and resources to undertake an integrated program of full field remodeling and subsurface re-interpretation as part of its $4.0 million Asset Life Extension Program. This Program confirmed Triangle’s commitment to the Perth Basin and Cliff Head and the Company’s static modelling results indicate there is potential to recover further resources and reserves from the Company’s discovered, already producing reservoirs (Main Horst, West, South and South East Fault Blocks). In addition, the static modelling revealed near field targets (see announcement 10 July 2018) with up to 29 million barrels (unrisked, best estimate, evaluation date 2 July 2018) of prospective oil initially-in-place (OIIP), representing 10.2 million barrels of prospective resource in near field exploration targets within the Cliff Head license area. Dynamic modelling is underway to confirm and quantify any additional contingent resource and reserve volumes and any OIIP. The dynamic modelling will then feed into a more holistic development study which will aim to select the best development concept to extract maximum reserves. The dynamic model is expected to be completed in 2018. These near field prospects are located in close proximity to Cliff Head’s discovered, producing reservoirs. The development of these volumes would therefore likely take advantage of existing pipelines and infrastructure with specific tie in pipelines being the main development commitment. Prospective OIIP volumes are in addition to OIIP in the discovered, already producing Cliff Head reservoirs. Triangle’s approach gives a high degree of confidence in the prospect evaluation. A prospective volume of 29 million barrels against the previous estimate of 15.8 million barrels is over an 80% increase in prospective OIIP. The results from the static model completes the picture on what the future of Cliff Head could look like. With this result, the Triangle team will now generate a full near field exploration program to test and confirm the volumes. The near field exploration program will be executed in conjunction with Cliff Head development activity, where an integrated Cliff Head development-exploration offshore program is expected to be put in place for 2019. Successful opportunities would leverage current infrastructure which would expedite crude to market. 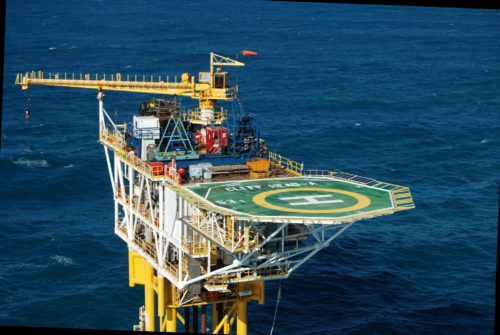 Cliff Head was the first commercial oil discovery developed in the offshore Perth Basin. The development cost of the field was A$327m with first oil production commencing in May 2006. To-date the field has produced over 14.8 million barrels and continues to produce at above originally forecast rates. 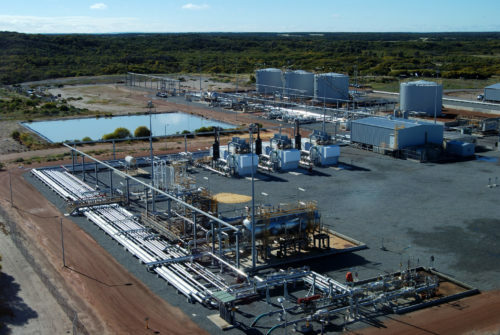 In June, 2016 Triangle acquired 57.5% interest in Cliff Head, including the Arrowsmith onshore oil processing plant, from AWE Limited (ASX:AWE) an Australian oil and gas company. The operating 42.5% was owned by Roc Oil Company Ltd (Roc). Triangle and Royal Energy entered into a 50/50 share purchase agreement, to purchase the remaining 42.5% interest in Cliff Head from Roc on 22 May 2017. Triangle now holds 78.75% interest in Cliff Head and is the Operator, with Royal Energy holding an interest of 21.25%. Triangle Energy (Operations) Pty Ltd became the Registered Operator of the Cliff Head asset on the 17th July 2018.